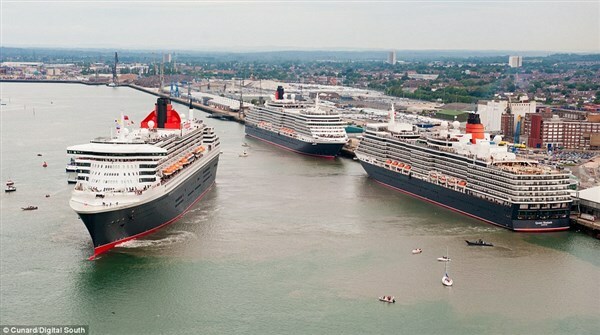 Please join us as Cunard's Queen Elizabeth, Queen Victoria and Queen Mary 2 dock in Southampton. It is a rare occurrence that these 3 iconic vessels are berthed together. The sight of Cunard's ships and their distinctive red and black funnels always causes a stir, wherever they dock. The fleet comprises three exceptional ships - Queen Elizabeth, Queen Victoria and our flagship, Queen Mary 2. Grand in scale as well as stylish down to the smallest detail.